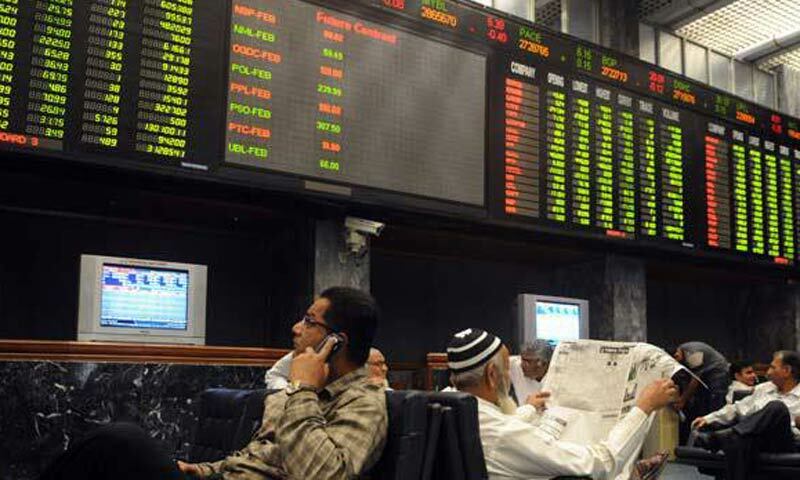 KARACHI: Stocks climbed by 51.88 points on Tuesday to the new record high at 25,350.20. The benchmark had to make an effort to finish with extended gains, after the index moved in a range of 195 points between the day�s highest and lowest. Trading value remained about unchanged at Rs10.4 billion, from Rs10.1bn the previous day while numbers of shares traded were slightly lower at 259 million, from 278m. Market capitalisation also stayed put at Rs6.081 trillion. Some analysts believed that the market was depicting strong undercurrents and did not show much signs of an �over bought� position. However, foreign investors were seen by many to be engines who have driven market so far to the north. A fund manager says: �Foreign institutions with a hefty investment of $410 million, followed by banks, have been the major net investors in the stock market throughout the year�. However, a senior broker observed that the locals were participating in equal numbers. He did not subscribe to the �over-heated� idea and said that the market was �re-rating� itself to which many more participants concurred. The movers and shakers on Tuesday were the banking, cement and textile stocks. The banks caught investors� interest on anticipation of healthy earnings and robust dividends as the year-end results were just around the corner. Bank Alfalah and Faisal Bank took the limelight. The cement scrips continued to edge higher aided by reports of increase in cement prices. Evidently the oil and gas sector remained under pressure as foreigners were on the �sell� side on Tuesday. It was, however, compensated by the local participants who continued to buy stocks on the popular sectors. The heightened activity in some of the second-tier stocks showed that punters and small investors were also present in good numbers.